A rather unkind comment you might think, but I know exactly what he means. Like many other DMWs this early-1960s trialler features some good ideas, but bears several indications it was produced by a company lacking extensive financial resources or a top development rider, and you needed at least one of those attributes to turn an also-ran into a winner. But DMW was always a bit of an oddball. Founded by Midlands grasstracker W L (Smokey) Dawson in the late-1930s, Dawson’s Motorcycles Wolverhampton initially made swinging arm conversions. During the war however, ex-HRD man Harold Nock had formed Metal Profiles Ltd, and in 1945 he took over DMW, moved it to another part of outer Birmingham, and renamed it Dawson’s Motor Works. DMW produced its first complete motorcycle – a Villiers-powered roadster – in 1947 and soon got involved with the flourishing off-road competition scene. Its products were fairly successful in local club events, but never really cut it in the National arena and with his usual directness, Sammy points out some of the reasons why. 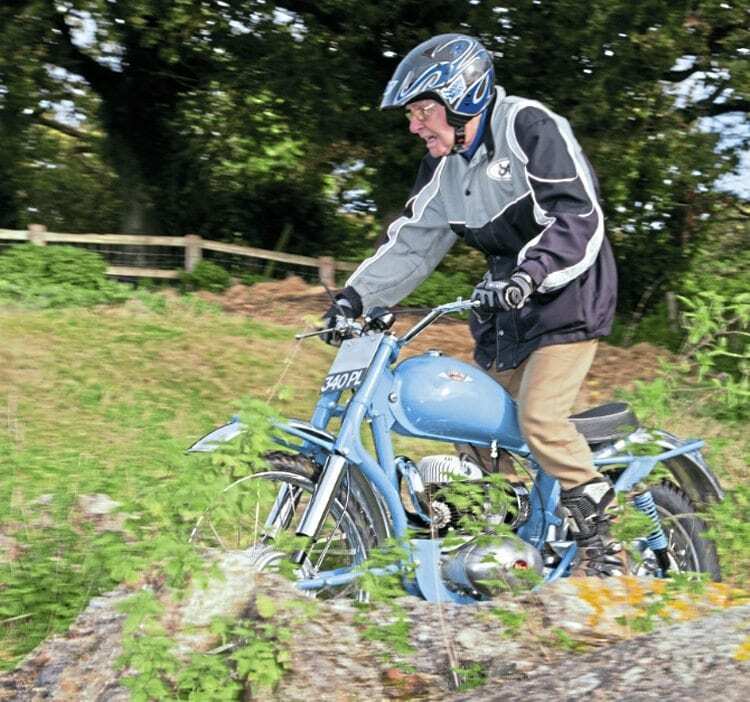 “Just look at the footrests,” he says, “they are attached to a sub-frame that can be bolted to the engine plates in different positions so the rider can vary his stance and the amount of weight borne by the rear wheel. The sub-frame also holds the rear brake lever and the adjustable stop which determines its rest position, and – since the brake is cable operated – moving the device backwards or forwards doesn’t affect the operation of the brake. It’s all very well, but you aren’t likely to keep moving things about, and the device weighs a ton”.